Have you spotted a pothole, fly tipping, litter or graffiti and want to do something about it? 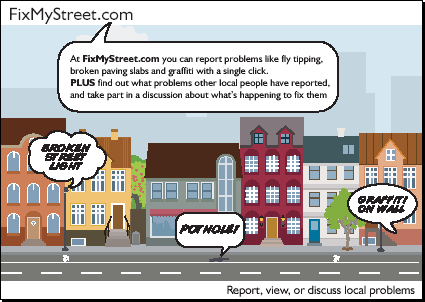 FixMyStreet is a website through which residents can report potholes, broken street lights, graffiti and similar problems with streets and roads to Leeds City Council and also see what reports have already been made. To report a problem log onto www.fixmystreet.com and put in your postcode and click to report .